One of the strongest areas of job growth in our economy is in health professions. The many different careers associated with taking care of our sick and injured, as well as working in preventive care, present many opportunities to someone who is thinking about a new career. Yet many people underestimate the size and range of these careers, thinking that they encompass doctors and nurses, and little else. Of course, that’s not accurate, and it’s a misconception that could lead someone to miss out on a satisfying and lucrative career. If you or someone you know are investigating options for a career after high school or a change of careers later in life, take some time to familiarize yourself with some of the many other jobs that are available in health care. Some require extensive education, others are available with on-the-job training, while others fall somewhere in between. There are many different careers just under this one umbrella. Generally speaking, a therapist does some type of patient care that either manages a chronic condition or helps the patient recover from an injury or illness. Their work involves working directly with patients under the guidance of a physician or other caregiver who prescribes certain interventions by the therapist in much the same way as he or she prescribes medicines. One example is a respiratory therapist. These workers do everything from treatment of asthma to ECG interpretation in hospitals, clinics, and outpatient facilities. Similarly, physical therapists help patients regain mobility and function after events such as strokes or broken bones. Occupational therapists do similar work, helping their patients regain the ability to perform daily tasks after an injury or illness. This is another broad area of work. The term “technician” generally refers to someone who operates a particular type of equipment, and that applies rather well to the various types of medical technicians. These careers involve a wide array of workplaces and functions, but they are all typically connected with the direct care of the patient. A common career in this group is a radiologic technician, who performs X-rays, MRIs, and ultrasounds on patients to help doctors diagnose injuries and illnesses. Emergency medical technicians work primarily with ambulance providers, giving the initial prehospital care to the sick and injured during transport to the hospital. Laboratory technicians work with equipment to review blood work and other samples taken from patients. While most people are familiar with this occupation, it has a much bigger scope than many people realize. Starting with a program to become an RN, CNA, or LPN can send you down many different roads, and they don’t all end in a hospital or a doctor’s office. 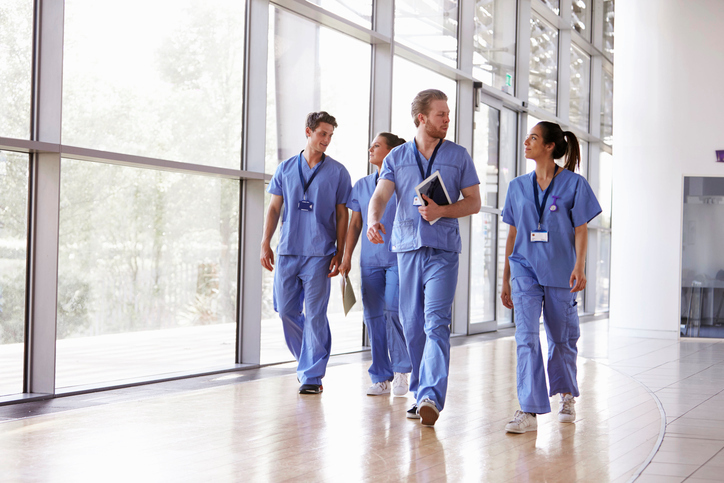 Nurses do more than walk from room to room and check on patients. Many provide in-home care or serve as hospice workers during end-of-life care for patients with terminal conditions. Others work their way up to a nurse practitioner career, in which they can see patients in a similar arrangement to what doctors do. Nursing is an incredibly broad field with a lot of opportunities to do something new and different from time to time. Health care is one of the oldest professions. From our earliest days, we have sought to help treat illnesses and injuries. The evolution from those first experimental efforts to our modern health care system has not only changed the role of doctors, it has created many other roles that carry out work in support of a primary caregiver. The more we learn about how to treat various conditions, the more people it will take to execute care of each patient. That provides lots of choices for people interested in working with health care, and it positions the field for steady growth for the foreseeable future.